The Former richest man in the World, Bill Gates has always been spookiness prophetic when it comes to the future of tech. He predicted social media, smart-watches, instant online payments and personal assistants decades before they reached our screens and took over our lives. So let’s just hope he doesn’t have the same knack for healthcare, because the Microsoft honcho has a grave warning for us all. Speaking at a discussion about epidemics hosted by the Massachusetts Medical Society and the New England Journal of Medicine on Friday, Gates believes that the next deadly disease that will cause a global pandemic is coming, and that we’re not prepared to face it. The likelihood that such a disease appears continues to rise. New pathogens emerge all the time as the world gets more populous and humanity encroaches on wild environments. 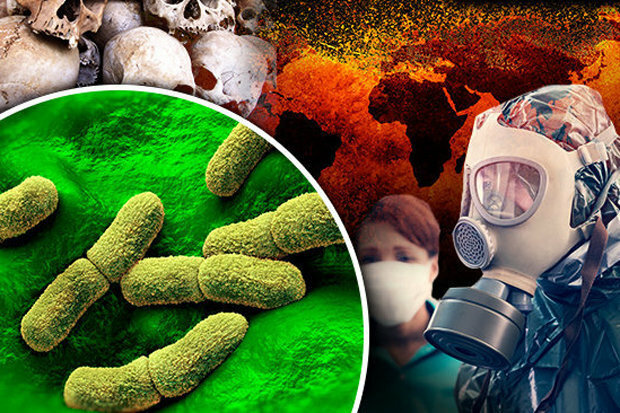 It’s becoming easier and easier for individuals or small groups to create weaponized diseases that could spread like wildfire around the globe. According to Gates, a small non-state actor could rebuild an even deadlier form of smallpox in a lab. And in our interconnected world, people constantly hop on planes, crossing from megacities on one continent to megacities on another in a matter of hours. According to one simulation by the Institute for Disease Modeling presented by Gates, a new flu like the one that killed 50 million in the 1918 pandemic would most likely kill 30 million within just six months now. And the disease that next takes us by surprise will most likely be one that we see for the first time when the outbreak starts, like happened recently with SARS and MERS viruses. If you were to tell the world’s governments that weapons were under construction right now that could kill 30 million people, there’d be a sense of urgency about preparing for the threat, said Gates.